Since the advent of social media, brands have learned how to use the social media listening for their benefit. You can utilize social media listening to enhance your content strategy, generate leads and manage the reputation of the brand. But apart from using it to their benefit, how else are they using social listening these days? As per a research, it has been seen that respondents use social media monitoring tools as large and medium B2B and B2C companies in the US. 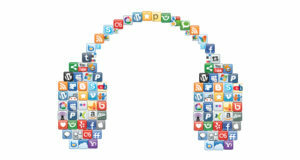 Let’s check out few of the benefits that a business can reap through social media listening. Improve services and products: According to the research, 25% of the respondents said that the ultimate benefit of social media listening is that they get feedback to enhance and improve their services and products. Regardless of whether you’re a brand or a business, you should know how customers use your services. This way you will get to know what is working and what is not. Based on this, you can improve your sales and marketing. Lure new customers: 24% of the respondents of the survey say that the primary benefit of utilizing social media listening is to attract new customers. When people consider buying from a company, they perform research and this includes checking your social media presence. Hence, if you’re eager to make new customers, ensure you’re responding to your already existing customers. Supervising content performance: 14% of the respondents said that yet another benefit of social media listening is monitoring how various types of content perform. Although it is true that shares are a vanity metric, they don’t necessarily mean conversations or visits to your site. When you post great content, you can get people talking about it and sharing it. Improve customer service: 23% of the people surveyed said that the ultimate benefit of social media listening is enhancing customer service. Customers predict instant responses to issues when they contact a specific business through the social media. While the term social media disaster can be overblown during times, it’s vital to focus to ensure you have core audience who love you no matter whatever you do. Therefore, now that you know how social media listening helps you, you shouldn’t waste any time in investing in it. Reap the above mentioned benefits of social media listening and help your business improve.